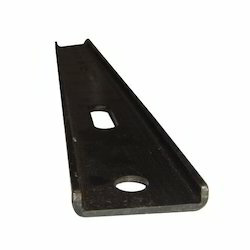 We offer an extensive range of SS Hook Belt Support to our esteemed clients. These are manufactured using quality material widely used in different industries as Automobile, Mechanical and other Industries. Our SS Hook Belt Support are known for their distinguished features including geometrical accuracy, long service life and corrosion surface. 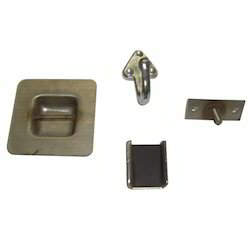 We are involved in offering an exclusive range of SS Hook Belt Support PU Coated C Chanel. These are known for its following characteristics as corrosion resistance, long service life and others as well. Our quality controllers check our range of connectors to ensure high quality Connectors. These precision engineered ranges find application in different industrial application. 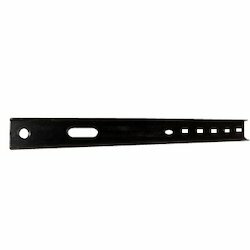 We are engaged in offering 'C' Channel Otis Pata which is available in varied dimensions and sizes. Our range is available in sturdy in construction. Our range is ideally suited to cater demands of textile and other industries. These are popular for their precision engineered range. These are manufactured keeping in mind the diverse demands of our valued clients. We offer them in customized labeling as per the specific demands of our esteemed clients. We offer an exclusive range 'C' Channel Otis Pata3 which is acclaimed internationally. These products are available in different dimensions and sizes. Our products are manufactured keeping in mind the varied requirements of our valued clients. These are known for their optimum performance even in long run. These require minimum maintenance and offered at affordable rates.